Do you want to have an easier and faster orthodontic treatment that does not require the unnecessary extractions of healthy teeth and does not cause pain and discomfort? If yes, then Damon braces are for you. Damon braces are tie-less braces, meaning they do not use colored rubber bands. This helps reduce the amount of pressure being placed on a tooth and requires fewer adjustments visits. 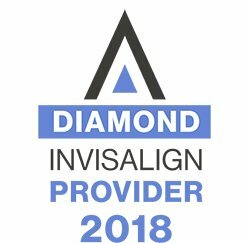 Treatment with Damon Smiles is typically faster than with conventional braces resulting in broader attractive smiles and improved facial balance. You can choose a clear version of Damon braces to straighten your teeth in the most discreet way. Visit Gellerman Orthodontics in Huntington, NY for a FREE consultation! Why should I have Damon braces treatment with Dr. Inna Gellerman? Dr. Gellerman has performed Damon braces treatment on hundreds of cases. Her expertise and knowledge in this area are remarkable. She thoroughly evaluates each patient and customizes the treatment to fit his/her individual orthodontic needs. Her unique approach is to focus on airway and breathing from a very young age, as well as on smile arc esthetics and function. This is how she gets an optimal result for each patient regardless of age. The key to success is planning the case and fitting the braces correctly, which requires experience and deep understanding of facial anatomy and physiology. Please read numerous 5 star reviews of Dr. Inna Gellerman on Google and Yelp, as well as our patients testimonials praising her as one of Long Island’s best orthodontists.